Midwestern Gothic staffer Lauren Crawford talked with poet and author Rochelle Hurt about the beauty of the Rust Belt, developing a healthy sense of defensiveness, her latest collection The Rusted City, and more. Lauren Crawford: First things first, tell us about your Midwestern roots. Rochelle Hurt: I was born in Dayton, Ohio, but raised almost entirely in Youngstown, which is an old steel city between Cleveland and Pittsburgh. It’s been home to much of my family for a few generations. LC: In what ways has the Midwest inspired your works and your style of writing? RH: I didn’t write much about the Midwest until I moved away from it. I felt homesick for a place I had always wanted to leave, and this inspired an interest in the paradoxes and conflicts inherent to Midwestern life. In Rust Belt cities, for example, one might find plants and animals inhabiting abandoned factories. Urban and rural elements mingle in unexpected ways in these towns, often challenging our notions of growth and decay. These juxtapositions create a surreal landscape in the Midwest, so I lean toward surrealism and magical realism when writing about the region. LC: Detroit and Buffalo have begun to experience mini-renaissances, with newcomers celebrating the beauty of the Rust Belt and paying homage to its rich heritage. Why do you think there’s such a deep motivation to reinvigorate these storied cities? RH: One develops a healthy sense of defensiveness after growing up with the idea that your hometown is an elsewhere—not New York, not LA, not Chicago, not San Francisco, and maybe not even an idyllic little farm town. In Youngstown, for example, there is a community organization called Defend Youngstown, and I think everyone from Youngstown understands the logic behind the name. It makes sense given the prevailing attitude toward the city. Consider that in my high school, we used a familiar nickname for the local university, YSU: You Screwed Up. It’s actually a good school, but the sentiment among many young people was that college was a ticket out of Youngstown, to somewhere with more money, more jobs, more people, more art. Yet there are countless passionate and creative people in Youngstown. I think once younger residents started realizing this, they decided to try to make Youngstown that place with more money, more jobs, more people, more art. I think the same is happening in Detroit and Buffalo on a larger scale. History is on our side—Rust Belt cities were booming once, so the space is there, the energy is there, the blue-collar work ethic is there. People my age may have roots in these towns that go back several generations, and they know that those roots were often hard-won, so they’re emotionally invested in renewal. LC: Your newest collection of poetry, titled The Rusted City, has been garnering critical praise since its release in early 2014. What prompted you to write this collection, and how did you choose the subject of the Rust Belt? RH: Soon after I moved away from Ohio for graduate school, I started reading a lot of poetry and fiction in translation, particularly fabulist stories and surrealist prose poetry. During a visit home, I realized that some of the elements in the work I was reading were useful for understanding the Rust Belt—its surreal landscape, its hybridity, its conflicting senses of hope and darkness. I knew I wanted to write a book about Youngstown, but I didn’t want to write a simple defense of the city, or a nostalgic tribute to its past. I wanted this book to be complicated and even a bit difficult—emotionally and intellectually—so I started the book as a hybrid genre project, mixing prose and verse. I also wanted to focus on a subjective experience of the Rust Belt, rather than a historical account, which would necessarily fall short, given the diversity of experiences in the region. In that way, I could only write a narrative of the city through the experiences of one family living there—a fictional family who became the book’s primary subject. LC: The Rusted City chronicles the experiences of “the smallest sister,” who is trying to understand and internalize a decomposing region and its effects on her family. How did this character come to be, and why is her perspective so important to unearthing the decay around her? RH: The smallest sister’s smallness stems from that sense of defensiveness I mentioned above. It’s important that she is easily ignored, disregarded, manipulated and neglected, because in some ways she is a mirror for the city—and the city is a mirror for her. She notices things like bugs and leaves—supposedly insignificant things—and she makes metaphors from them. Her adolescent creativity and naiveté is her only avenue for change, and I think that process of transforming forgotten things into new ideas reflects the Rust Belt experience. I don’t think the book can be said to have a happy ending, but ultimately, she does gain some sense of agency, even if only through metaphor. LC: The Rusted City is described as being a “coming-of-age … novel in prose poems.” Thematically, this blend of Bildungsroman and poetry captivates the reader, and beautifully emphasizes how loss and love are easily tangled. Why did this medium seem fitting for your Rust Belt family? RH: In addition to capturing a sense of paradox (urban and rural, old and new, growth and decay), I think hybrid forms also allow for the kind of emotional and psychological tangling that you mention. Adolescence is so confusing and intense that the ability to compartmentalize (even in healthy ways) is sometimes lost. It’s a dark wood, and my hope for the book is that nothing emerges cut and dry. The hybrid-genre form is also practically functional, since the fictional narrative I imagined seemed inseparable from metaphor and lyricism. LC: In many of the poems and vignettes, rust is included as a piece of anatomy—an appendage—that is inseparable from the characters. Why did you choose to present the “rust” of the Rust Belt in such a tangible way? RH: I wanted this city to be more than a setting that provided an interesting backdrop, which could be exploitative. The life of the city had to be linked to my characters’ identities and to their plight. The book often operates on a metaphoric level, so it seemed natural that the people in it should literally absorb their surroundings. LC: Sabrina Orah Mark, in her review of The Rusted City, compares its themes and form to those of Baudelaire—a portrait of modernity and of the city—but one that has begun to crumble under its own desiccation. In this light, how would you describe the relationship between the characters in The Rusted City and their hometown of Youngstown, Ohio? RH: There is a lineage through Baudelaire that connects the prose poem to urban spaces—and perhaps specifically the harsh, dirty, ignored corners of those spaces. It is precisely those kinds of spaces (in a contemporary American context) that help form my characters’ identities, and this is not always a good thing for them. They are members of a working class in a city that was built by and for them, but that now has very little to offer. In this way, the city is a trap. Yet I don’t want to say that they are victims of their environment—I don’t wish to romanticize pastoral spaces as a balm for urban ruin (nor, on the other hand, do I wish to glorify urban ruin). They can’t be simply victims of the city because they are the city. Through their labor, their bodies have merged with the city’s decay, for better or worse. LC: In many of your poems, the title serves as the first phrase or sentence. How did you develop this unique style? RH: It started as an accident, but then I found that it helped maintain narrative continuity between poems, whereas more traditional titles might have framed each poem as a separate object. My hope is that each prose poem functions as a tiny chapter in a tiny novel, rather than a single poem in a collection. LC: What’s next for you? RH: I’m sending around my second book, which is more of a standard ‘collection’ of poems. I’m also working on a few new projects (which will eventually be books) and completing a PhD at the University of Cincinnati. 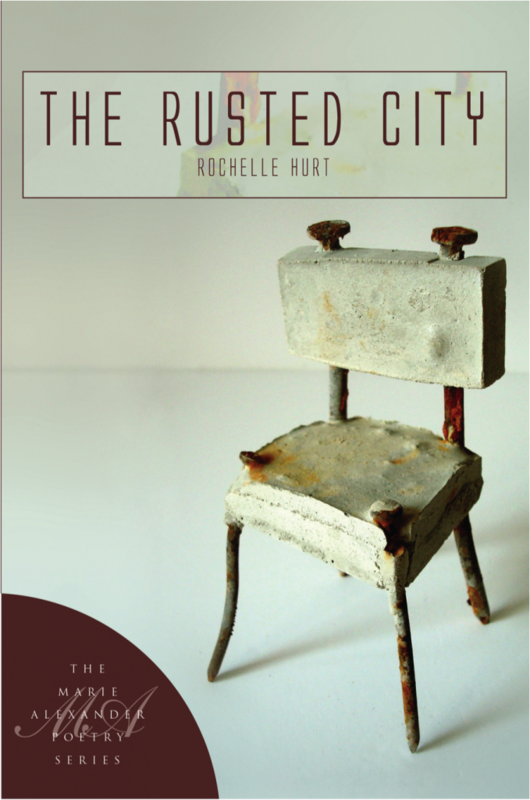 Rochelle Hurt is the author of The Rusted City, published in the Marie Alexander Prose Poetry Series at White Pine Press (2014). Her work has been included in Best New Poets 2013, and she has been awarded literary prizes from Crab Orchard Review, Arts & Letters, Hunger Mountain, and Poetry International. Her poetry, fiction, and creative nonfiction have been published in journals like Mid-American Review, The Southeast Review, The Kenyon Review Online, Versal and Image. 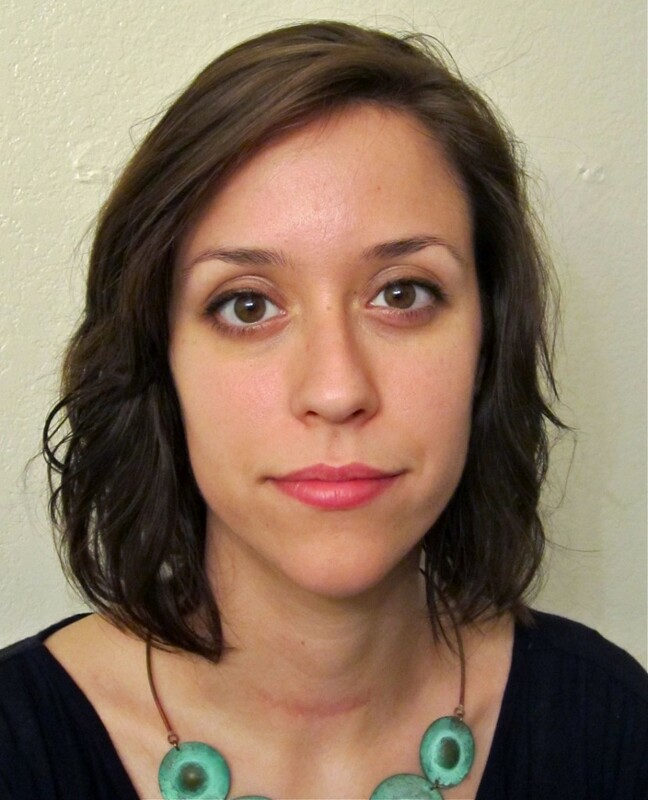 She is a PhD student in the Creative Writing program at the University of Cincinnati.